Do you love beer? Do you love to travel? Carnival Cruise Line has you covered! Carnival officials announced Sunday it had reached an agreement with Brew Hub to become the first cruise line to can and keg its own private label beers produced by its in-house brewery team aboard the Carnival Horizon and Carnival Vista ships. 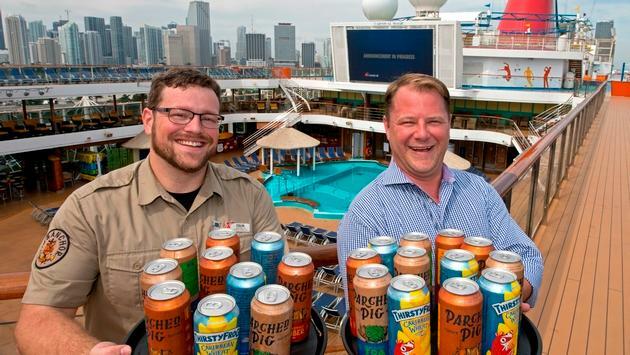 The three Carnival beers are based on recipes developed by the cruise line’s brewery team are now available in 16-ounce cans, as well as on tap across its 26 ships and at all private destinations. “With the success of our breweries on Carnival Vista and Carnival Horizon the obvious next step was to let all of our guests fleetwide enjoy our refreshing craft beers and that’s where our partnership with Brew Hub began,” Carnival vice president Edward Allen said in a statement. For drinkers, the beers include ThirstyFrog Caribbean Wheat, ParchedPig West Coast IPA and ParchedPig Toasted Amber Ale. The specialty brews have been popular with cruisers since Carnival introduced the first North American brewery at sea in 2016. Much like breweries on land, Carnival has also taken advantage of seasonal products and created unique beers like a Miami Guava Wheat and Pumpkin Spice Ale. 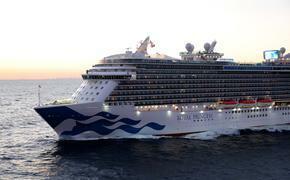 A brewery will also be featured aboard Carnival Panorama when it debuts in California in December 2019.